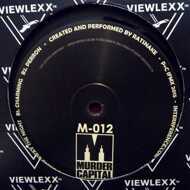 Gesloten Cirkel throws out two new platters at the same time on the intimidatingly-titled Murder Capital label. Both showcase Cirkel’s hard-nosed techno style (with lashings of acid in the synths): heavy and direct, bound to get your body working. M-012 has the trippiest label art of the two if that helps you to make your decision.